In 2011, a group of women decided to give back to their community. That was when KC Busy Hands was formed at Leisure Days RV Resort in Zephyrhills. Since then, they have donated thousands of hours and hand made items to schools, churches, hospice centers and hospitals. Today. the group has over 50 residents who have donated over 8,000 hours to this cause. Together they knit, crochet and cro-hook, bringing much of the materials from home. Other residents also join in by donating extra yarn or even purchasing new yarn for the group to use. Homeless students, new mothers, veterans and nursing home and hospice residents have been the grateful recipients of afghans and lap robes. In all, the group donated 135 lap robes and afghans to the community. During Christmas, they donated afghans to families and even some Leisure Days residents. 828 hats were donated to schools and the Samaritan project. One resident made 450 of those hats alone! The students who received the hats were excited to pick out their hats, and the joy on their faces made it all worthwhile for the Leisure Days residents who spend their time giving back to those around them. "Kindness is like a boomerang," said Anne Astles, a member of the group. "it keeps coming back." This year, the group has touched the lives of over 1000 residents of Zephyrhills, and over 2000 since they started giving back to the winter community at Leisure Days. In the coming year, the residents hope to have the same impact on those around them. 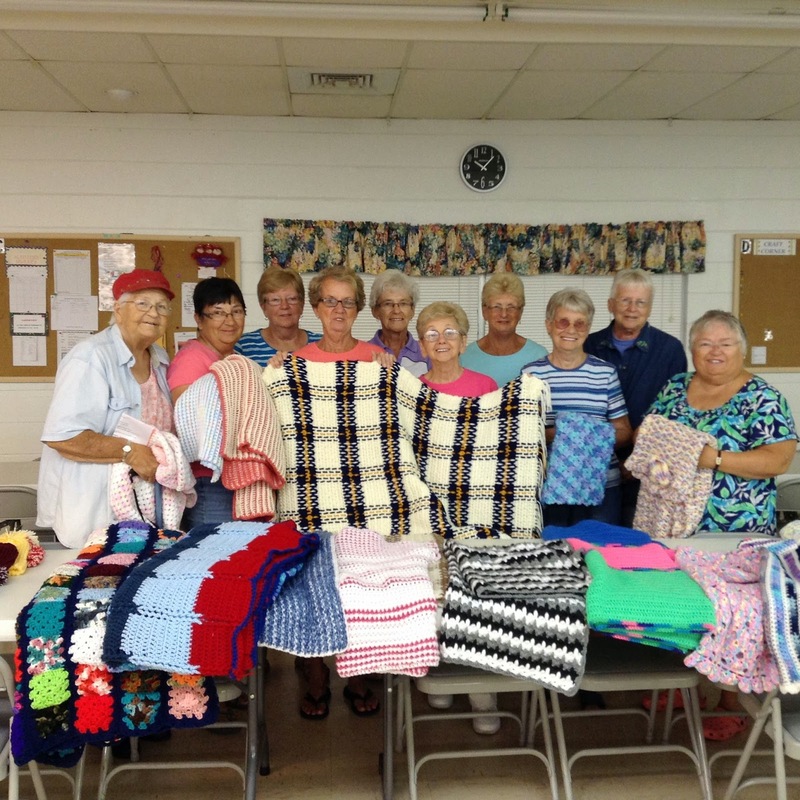 With all of their handmade items, the group used more than $2,000 worth of yarn. If you are interested in donating funds or yarn to the group contact Leisure Days at 813-788-2631. The sun was shining over Woodall's Mobile Home Village in Lakeland on St. Patrick's Day morning. This active 55+ community was already bustling with activity as the temperature slowly climbed to a perfect 84 degrees. To kick off the events residents gathered for a St. Patrick's Day coffee hour. The hall was buzzing with chatter as everyone prepared for the parade that would soon begin. 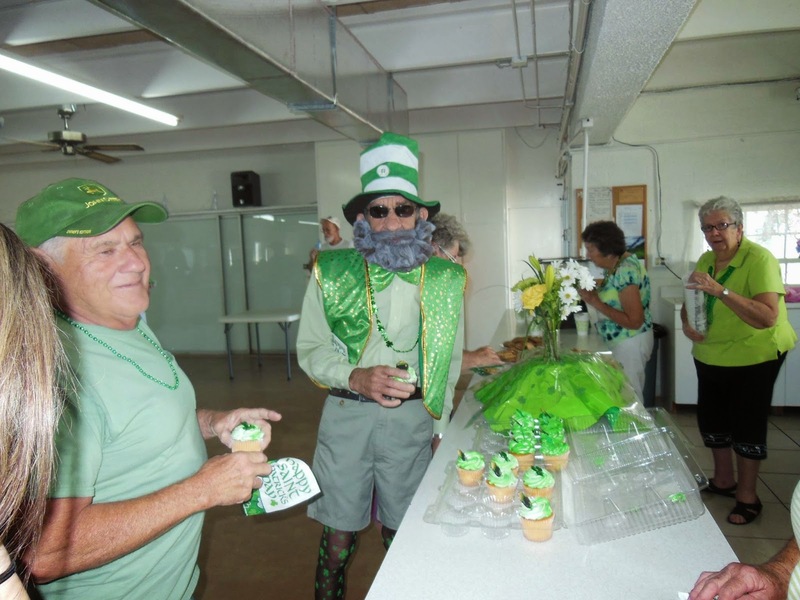 Shamrocks and everything green soon invaded the community a the festivities went into full gear. About 30 people dressed up and there were bikes, golf carts and cards decked out for the occasion. 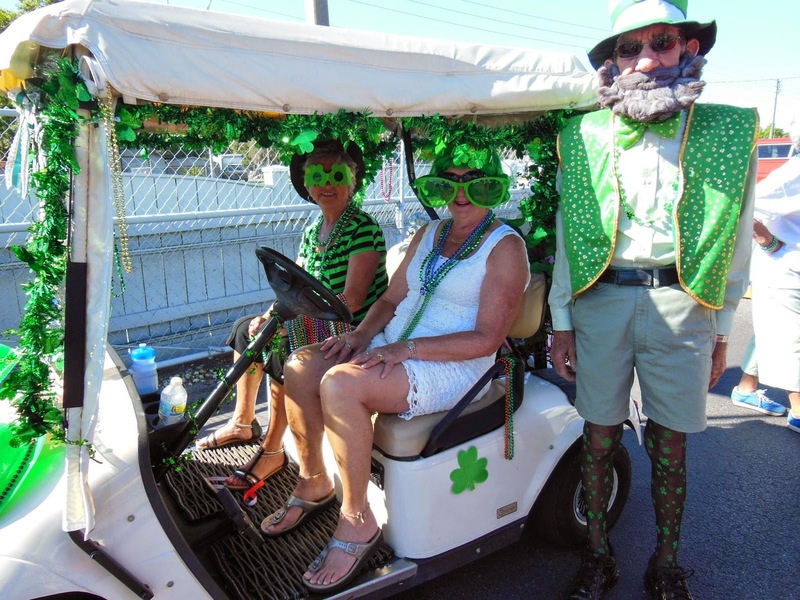 The parade was filled with leprachuns and big green glasses, shamrocks dangling from golf carts and big silly hats. Beads were tossed into the crowd on the 1 mile route through the park. The entertianment was as big as the smiles as residents got into the true Irish spirit of the day. Once the parade ended everyone met in the clubhouse for cupcakes and awards. Events like these happen often at Woodall's, and are just one of the reasons it's known as the friendliest park in town! Want to stay connected to the fun? Join Woodall's on Facebook! 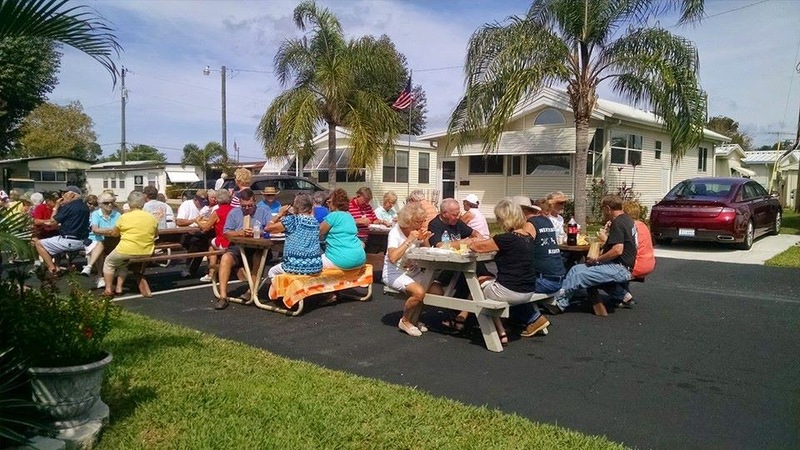 The sun was shining down on a beautiful, breezy Florida day as Winterset RV Resort residents prepared for their annual Fun Day. 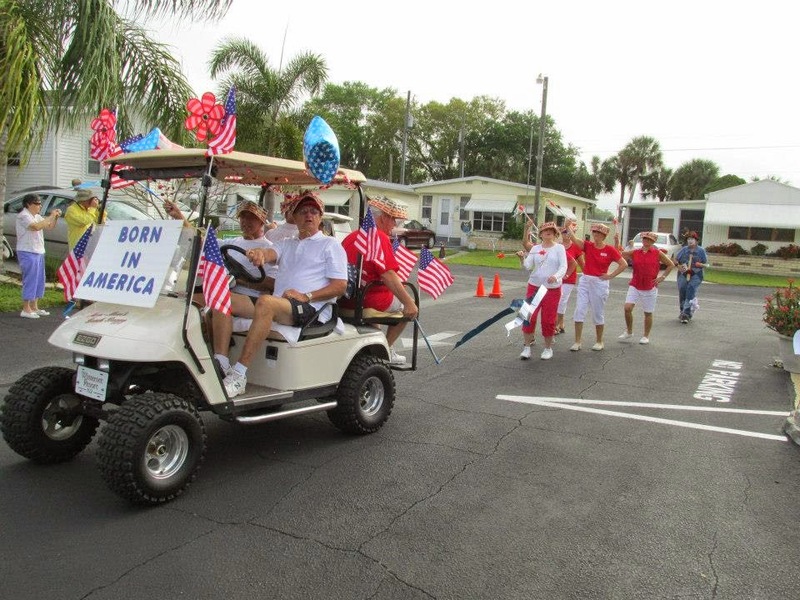 It started with a colorful parade of decorated golf carts all competing to be the best to win awards. The creativity and colors were endless, but in the end some of the best shined through! The Budapest Traveling Circus received the Best Bribe Award for throwing plastic gold coins at the judges. The Farkle Family received the Best Gene Pool Award, Born in America received the Best in Show Award and the Dutch Couple received the Best Costume Award. The Fun Day then went right into games galore! 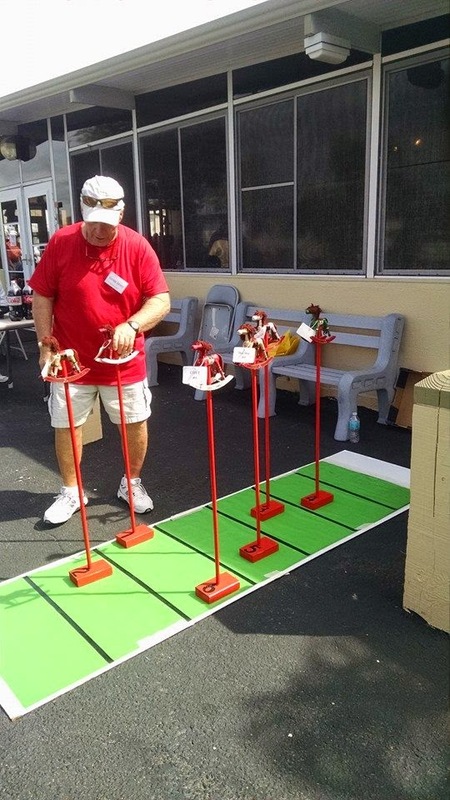 There were horse races, shuffleboard, basketball and so much more. All of the games were orchestrated and run by Winterset residents, so there was plenty of fun to be had. made right at the resort. Residents gathered under tents to enjoy their meals and good company. Everyone at Winterset agrees it's a great place to live. "I knew buying a home here was going to be good," one resident said. "I just didn't realize it would be this great." Another resident said "I have been to a lot of RV communities, hands down none compare to Winterset." As the festivities continued, Winterset residents were busy preparing strawberry desserts for their annual strawberry social. The desserts fill a bowl with cake, ice cream, plenty of strawberries and a big dollop of whipped cream. During season, this community is a filled with happy faces and lots of activities. You'll make great friends, have fun and enjoy the amazing Florida weather right in your own home. Join Winterset RV Resort on Facebook or visit them online to see how you can become a resident today!